Running With Rifles is a curious game is a little hard to describe accurately. You play the game from a top-down view, moving a little soldier around with the keyboard, and aiming using a mouse-controlled reticule. From that description and the name, you might think this is a twin stick shooter, but it's not. The main thing to understand about this game is it a single bullet can kill you. Soldiers have no hit points--each time a bullet strikes them they have a chance to die. If your soldier dies, you will respond a few seconds later with a loss of experience points and resource points. Experience points give you additional soldiers who follow your avatar around and provide support fire, and perhaps more importantly, additional targets for enemy soldiers to shoot at. For the most part, your squad members act on their own; you can give them some rudimentary commands, but it's not like you are playing an RTS. The resource points give you access to better equipment, and large numbers of resource points can be used to radio in support, which could be extra soldiers parachuting in, or artillery strikes. 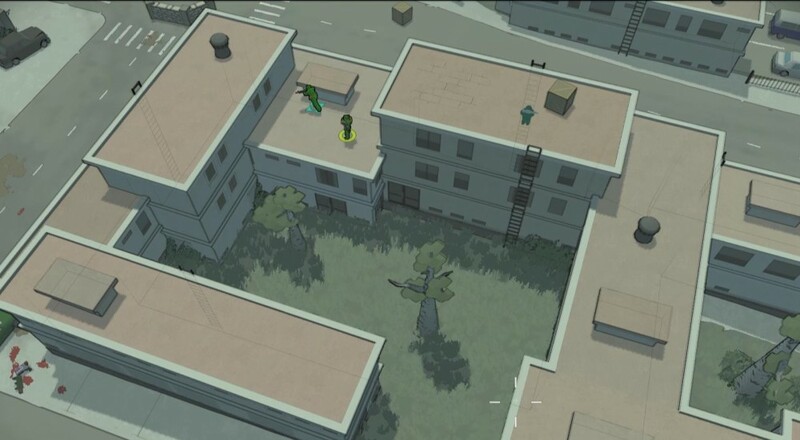 The goal of a match is to take over enemy territory, which you do by having more soldiers in an area than the opponent, in the time-honored "capture the flag" mechanic. On a basic level, the game is about pushing the line of engagement back, whittling away at the count of enemies in an area without dying yourself. 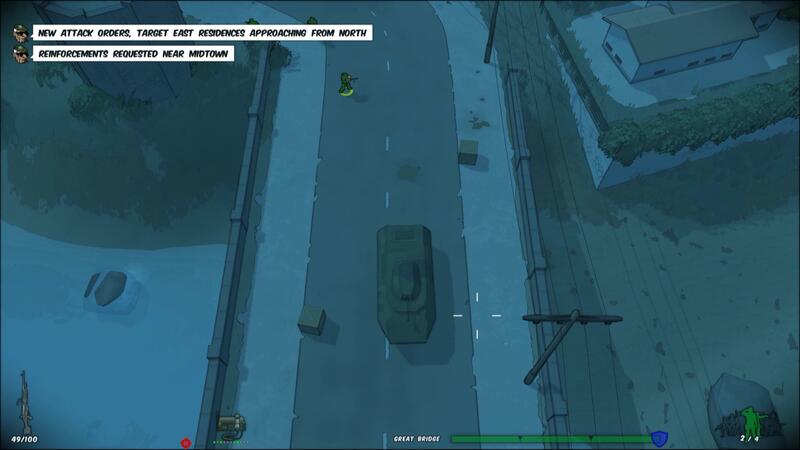 RWR can be played solo against AI bots, co-op against one or two enemy AI armies, or multiplayer. Servers support up to 32 players at once on a team. The first thing I judge a co-op game on is how easy it is to get me and my friends into the same game. So let me tell you, if you're thinking about setting up a co-op game of RWR, get ready to game like it's 1999, because this setup is old-school. Page created in 0.6359 seconds.